Full-color 9" x 12� cards with a photo on the front and activities on the back. 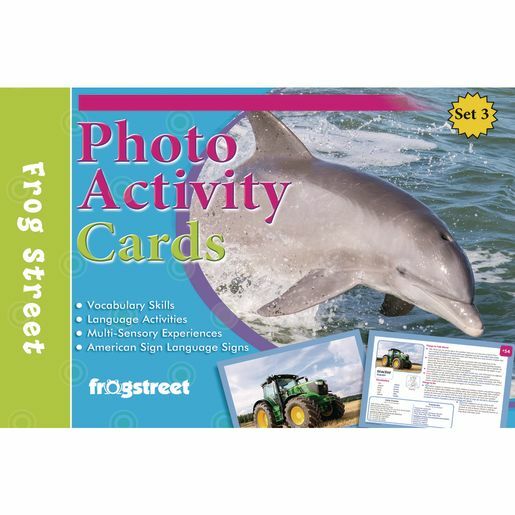 Information on the back includes vocabulary in English, Spanish, and American Sign Language; discussion prompts; and activities that support the photograph. 90 cards.